Philanthropist and industrialist John Fox Slater (1815–1884) was known not only for his manufacturing achievements, but also for his groundbreaking support of emancipated slaves. The nephew of Samuel Slater (1768–1835), a pioneer of America’s textile industry, Slater owned the Slater Mill in nearby Jewett City, and was president of the Ponemah Mills, a massive industrial complex that made cotton goods and fine fabrics in the Taftville section of Norwich. In 1882 he used part of his fortune to donate one million dollars to his newly established John F. Slater Fund for the Education of Freedmen, which provided schooling for emancipated slaves. Over thirty-six colleges in the South benefitted from Slater’s largesse, for which he was awarded a United States Congressional Medal. 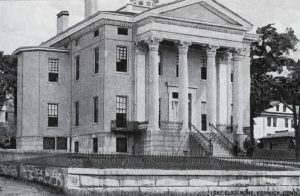 Presumably built in anticipation of his 1844 marriage to Marianna Hubbard (1824–1889), Slater’s Main Street mansion is a monument to his wealth and success. Designed by Minard Lafever, the house sits on a raised platform fronted by a massive portico in the Corinthian order. 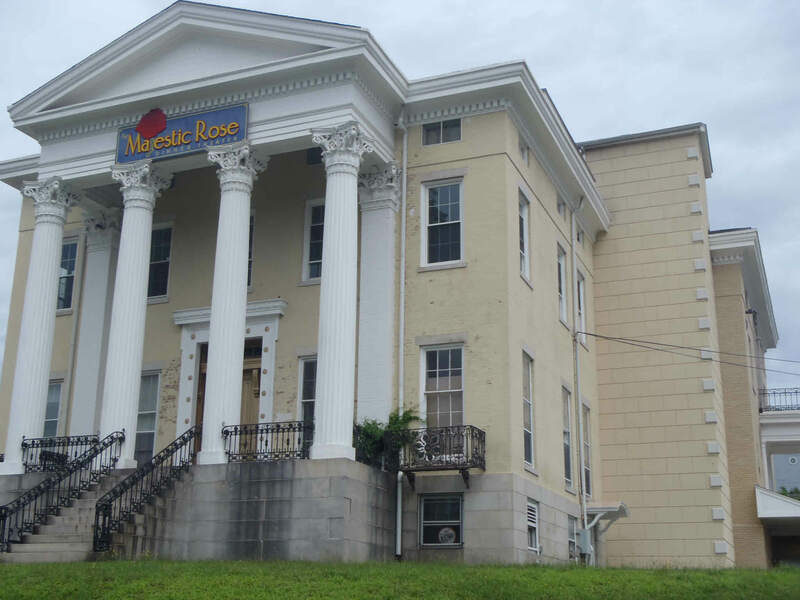 One of the largest and most impressive Greek Revival residences in the city, it evokes the tradition and dignity associated with Greek classical ideals. 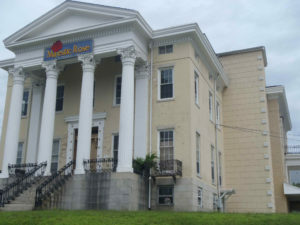 Later, the house became the Norwich Elks Club and is currently vacant.